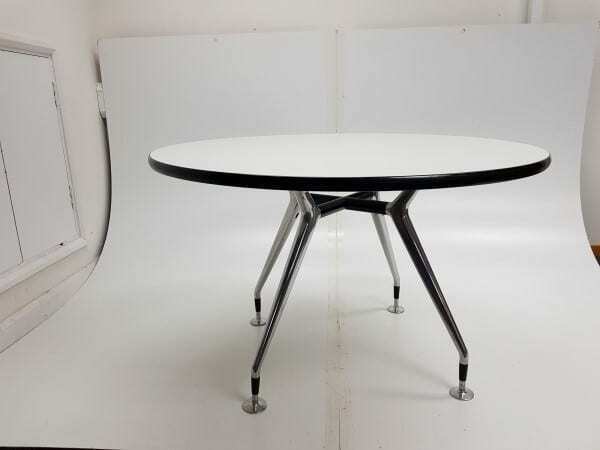 Welcome to Second User Furniture, we have a number of Vitra White Round Meeting Tables designed by the iconic Charles Eames available for sale, these circular meeting tables feature the classic segmented base with a white top that hold an elegant solid black curved edging. 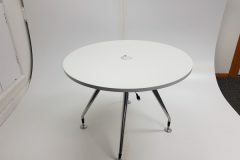 Diameter: 800mm. 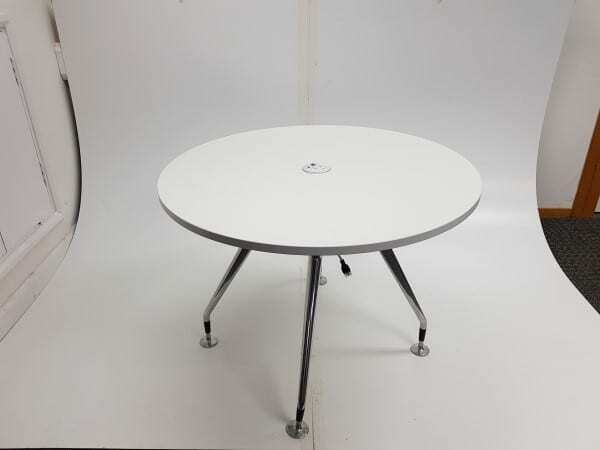 We also have two additional Vitra White Round Meeting Tables in stock, both have chrome splayed leg bases and are 900mm wide. You can take a closer look at these products by clicking on the images shown at the top of this page and if you would like to find out any further information, you can get in contact with our friendly sales team who are available Monday – Friday from 9am – 5pm by calling 07944 508282. Alternatively, if you are viewing our website using a Mobile Device, you can click on the Telephone Icon located at the bottom right hand side of your screen. If you are unable to call us, you can enter your details into our ‘Request a Quote Online Form‘ shown below and one of our sales team will be in touch to assist you further. 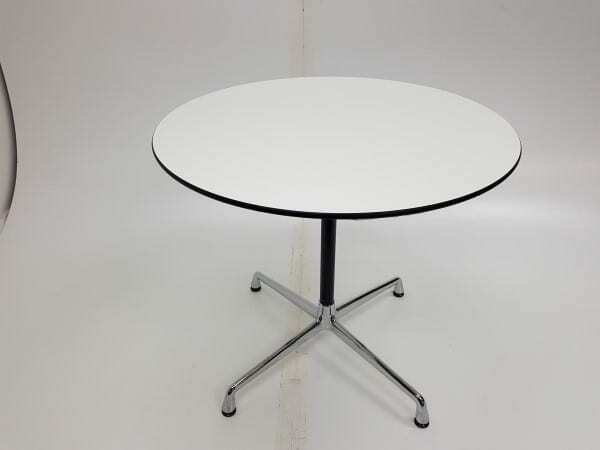 If you were looking for a product that has a specific finish, colour or brand name, ensure you check out our full range of Second Hand Meeting Room Tables by clicking on the link that has been provided in this paragraph. 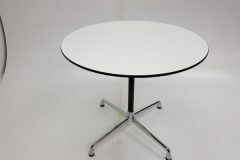 Classic Segmented Base with a White Top. 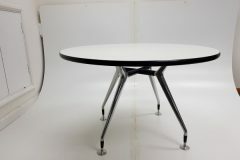 Elegant Solid Black Curved Edging.